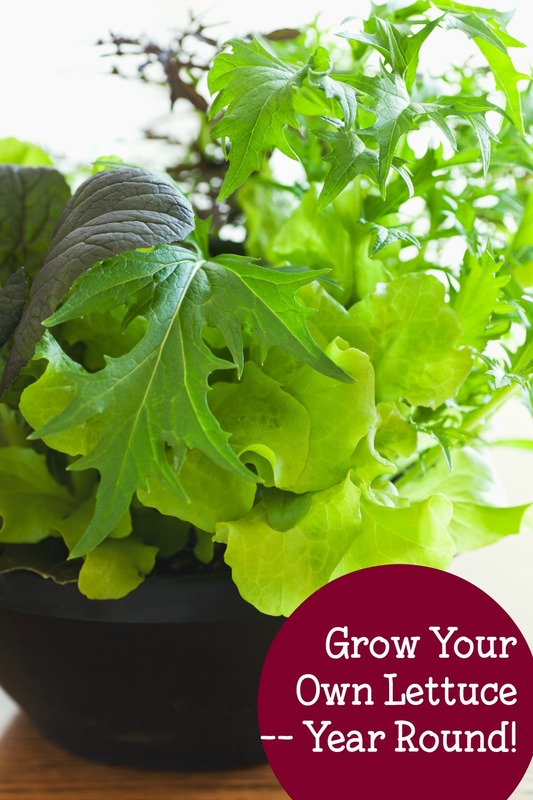 One of the easiest ways to grow lettuce is from seed. This is especially true if you like tender lettuces like mesclun greens and loose leaf lettuces. Baby lettuces don’t take much time or soil to grow. A planter that’s about 3 or 4 inches deep is all you need. Take a look at the information on the seed packet, but generally, you scatter the seeds and cover with just a little bit of dirt. In a couple of weeks, you can start harvesting, and re-seeding. If you want to grow heads of lettuce, you’ll need a little more space, and a deeper planter. You can also start with seedlings from your local garden center or a reputable gardening catalog. Another fun way to grow lettuce, if you just want to try this out, is to cut of the stalk end of a head of romaine lettuce. Leave 2-3 inches, and place it in a cup or container with a little bit of water. Leave it for about a week, or until you start to see new green growth coming from the cut end, and roots forming at the bottom. Once those roots are about an inch or two long, plant your new lettuce plant into a bowl or small pot filled with potting soil. 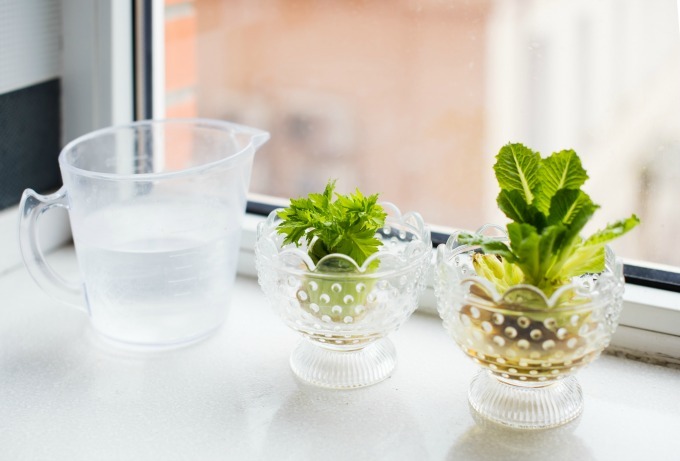 Keep it watered and in a sunny window and watch your lettuce grow. You can cut and regrow more lettuce a couple times. Finally, a great option is to get lettuce seedlings at your local home and garden center. They usually stock them in the spring and, depending on your local growing season, again in late summer or early fall. Just grab a pot or an old bowl, fill it with good potting soil and plant your lettuce. It won’t take long before it grows enough that you can start to harvest. 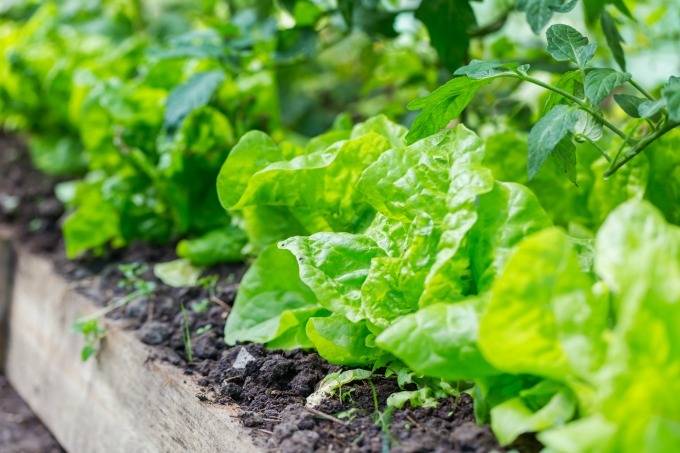 It’s helpful to know if you can continually harvest your lettuce varieties or if you should let it grow to maturity, harvest, and then replant. Start with something that’s easy to grow and take care of, then branch out from there. Once you see those first few harvests and get a chance to eat your own salad, you’ll be ready to expand your lettuce bowl collection.